These last few weeks we have all been inundated with articles re Employment Support Allowance, Work Capability Assessments. From Atos announcing they were walking away from their contract, to a Work and Pensions committee evidence session held Weds 9th April. Available to watch here . ATOS were asked to test disabled people and find out if they were fit for work. Sadly being able to do some work is not the same thing as being able to get a job. The real world out there is a competitive labour market. Employers hire the candidate who convinces them that they will be the most productive and stand up to the most pressure. The candidate who is the fittest, gets the job. That’s the real world of getting a job. But what should an employer do when they are asked to take on a disabled person whose impairments will bring extra costs to the employer? No-one even asks the question. 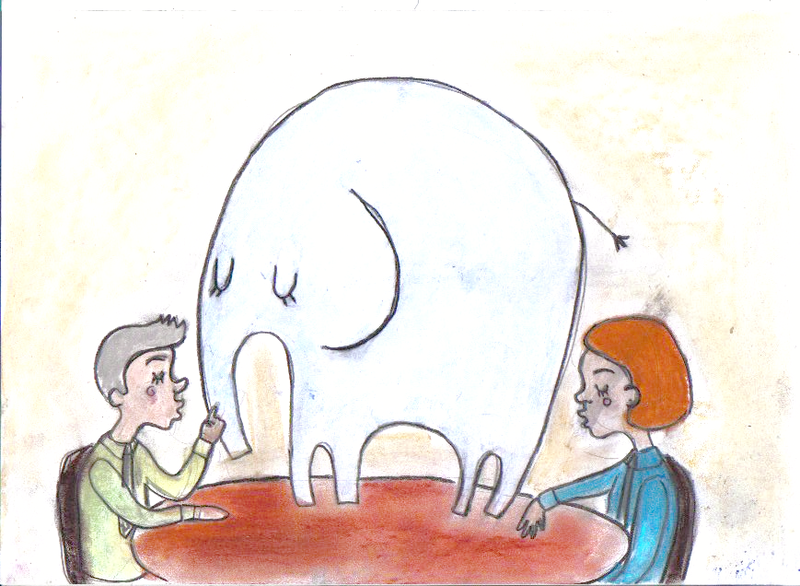 It’s the elephant in the room that no-one talks about. They’ll talk about reasonable adjustments and enabling people to overcome the barriers to being productive, but can that work for everyone? Until we start asking these questions, we won’t find the solution. Governments intervene in markets all the time to promote equality: but apparently not for disabled people. So let’s move the focus away from disabled people. Stop blaming them and putting all the pressure on them to be fit for work when we know they need to be fit to get a job. Let’s move the spotlight on to employers and the labour market out there in the real world. And look for solutions there. This entry was posted on 10 April 2014 at 09:16 and is filed under atos, employment support allowance, work capability assessment. You can follow any responses to this entry through the RSS 2.0 feed. You can leave a response, or trackback from your own site. The test assume that if one can do anything then one can do everything including hold down or secure work – of any kind.